Nowadays outdoor kitchens are more elaborate extensions of the indoor kitchen and far more sophisticated than a simple charcoal grill. 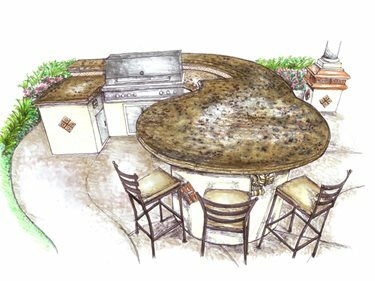 Outdoor kitchens need to be sized appropriately for the space available while meeting the entertaining and dining needs of the homeowner. 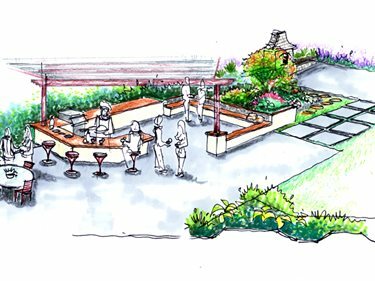 Small L-shaped counter with split levels for bar service Large curved outdoor kitchen divided into a separate area from the outdoor living room and fireplace. Easily provides plenty of cooking prep areas and room for guests. Use the equipment list of grill size, appliances and accessories to calculate how much space is required for the counter. Allow for placement of a serving platter between each accessory or appliance on the counter. A good rule of thumb is 16". Outdoor kitchens are quickly becoming a must have on homes around the country. 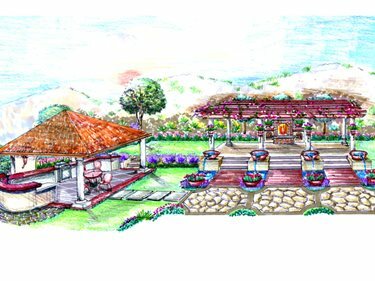 See how to design, size, and configure an outdoor kitchen to accomodate for your needs. 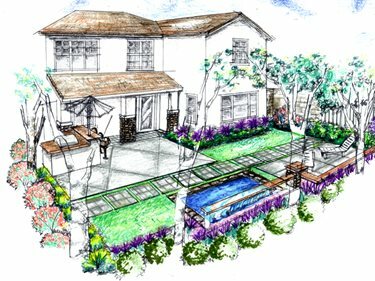 Visit several beautiful backyards with designer/contractor Scott Cohen to get ideas for your home. Consider entertainment needs to figure out how many serve stations will be needed. If a bartender or caterer will be stationed at the counter regularly, leave a 3-4 foot working space around each. Scale your outdoor kitchen appropriately to the backyard space. In a smaller garden be careful not to overweight the size of the counter. Working triangles that are talked about so much when designing indoor kitchens are not as applicable outdoors. Of greater consideration is to plan for three main "stations" or "zones". View more counter layouts in the Outdoor Kitchen Photo Gallery.